While your home’s gutter system might seem like a minor and forgettable part of the overall structure, it actually plays a vital role in safeguarding your home’s structural integrity. Sadly, most owners do not think much about calling for a gutter cleaning service until they are experiencing problems. Your gutters getting clogged with leaves, branches or other debris may seem like a minor issue. But the truth is, the longer you leave your gutters clogged and not functioning, the more you are putting your entire property at risk. Here some of the most common hazards of clogged gutters. Mold is not only unpleasant to look at, but it can also pose risks to your family’s well-being. As water falls off the roof because of clogged gutters, your attic, siding and basement walls can become damp, which may result in mold growth. This may lead to respiratory problems. As water overflows from your clogged gutters, water will flow down the sides of your home, and can seep through to your basement and cause water damage. Basement repair can leave you spending thousands of dollars, much more than the cost of simply having your seamless gutters cleaned on a regular basis. Do not let something as simple as gutter maintenance turn a leak into serious structural damage. Over time, what might seem a minor gutter issue could be penetrating deeply into your home’s foundation, walls, exterior, etc. So a little maintenance can result in a big savings by avoiding fixing structural issues that develop over time due to faulty gutters. 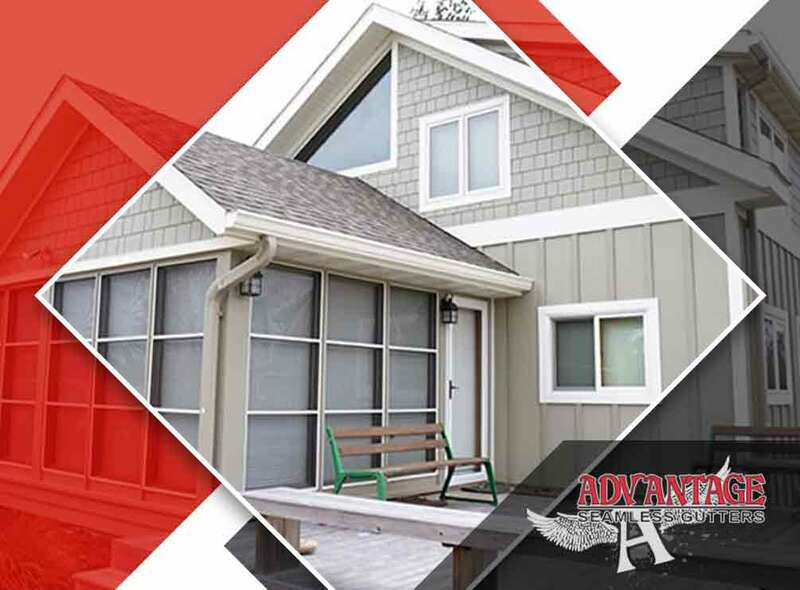 By working with Advantage Seamless Gutters, you are sure to have clean gutters that protect your home from water damage. Never disregard the maintenance of your gutters. Make sure you do all you can to protect them and avoid costly repairs. With Advantage Seamless Gutters, you get to save time you would otherwise use to clean your gutters. Aside from quality cleaning, we also offer gutter installation and repair. Call us at (218) 212-1818 to know more about our services. We proudly serve the area of St Cloud, MN.